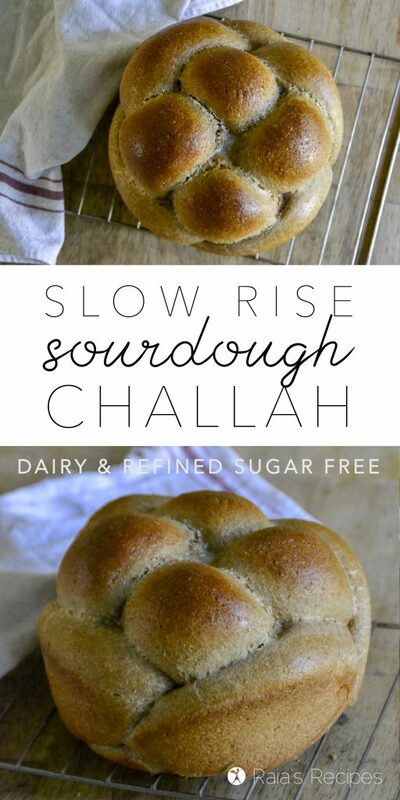 Perfect for Sukkot, Shabbat, or just a good, family meal, this Traditional Slow-Rise Sourdough Challah is a beautiful way to celebrate the goodness of sourdough bread. It goes without saying that one of the hardest parts of being gluten-intolerant/celiac is giving up “real” bread. Yes, there are many fairly good options out there, including my family favorite Honey Flax Bread, they just don’t really measure up to the memory of gluten-full bread. You can imagine the hope that surged within my heart when one of my good friends told me that her celiac daughter had eaten slow-rise sourdough and handled it just fine. Could it be? Was there hope for people who couldn’t tolerate gluten to eat “normal” bread again? I spent many months pondering whether or not it was possible for people with gluten issues to handle sourdough. It quickly became obvious that going to the store and buying a loaf of sourdough bread would result in all the normal plain and agony that came from me eating even a little gluten. But what about traditional sourdough, i.e. sourdough that has been fermented for long periods of time, and not just bread with a little sourdough starter added to make it taste like sourdough? A study done in 2010 showed that this traditional way of making bread cut the gluten content down so drastically that celiacs could consume it without any ill effects. However, we all know that just because we can eat something doesn’t mean we necessarily should. After all my in-depth sleuthing I decided the only way I could know for sure if I could handle sourdough was to try it myself… so I did. I have now been baking with traditional sourdough (made with whole wheat!) for about 4 years. The only time it has ever caused me issues where when I would eat it more than two or three times a week, or when I made the mistake of letting friends make sourdough for me. That being said, even though I can handle traditional slow-rise sourdough without any issues doesn’t mean everyone who suffers from celiac can. My dad cannot handle any sourdough. Every body is different. Auto-immune diseases present themselves differently in different people. Sourdough may be a wonderful blessing for my family, but it may not be right for you! If you’re up for traditional sourdough, this sourdough challah is one of my family’s favorite recipes. And no, you don’t have to be Jewish or celebrate any biblical feasts to enjoy it. 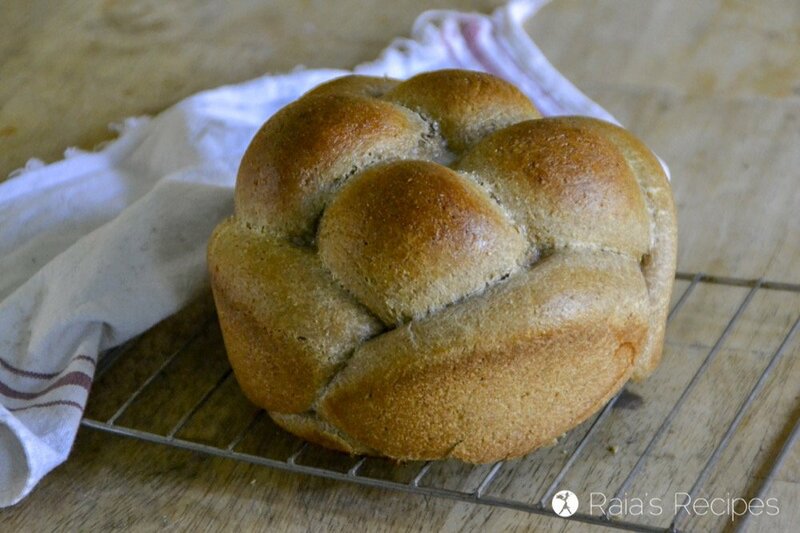 😉 It’s a delicious bread that makes wonderful sandwiches, goes perfectly with soups, or my hubby’s favorite way to enjoy it: fresh out of the oven, slathered in butter. If you need your sourdough to be made with gluten-free flours (yes, it’s totally possible! 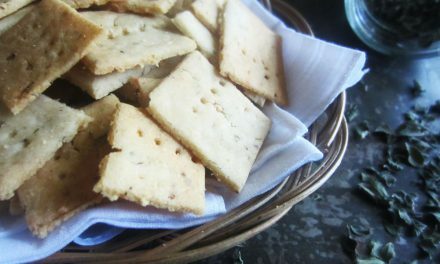 ), check out my Gluten-Free Garlic & Herb Sourdough Crackers, or my Quick-Fix Gluten-Free Sourdough Pancakes! Modified from The Challah Blog. In large ceramic or glass bowl, mix together starter, water, oil, honey, salt, one whole egg, and two egg yolks. Add in salt and flour, one cup at a time. When dough is too stiff to stir, dump out onto floured table or board and knead until smooth and elastic (about 5 minutes). Place dough in clean, warm bowl and cover with plastic wrap. Let rest 2 hours. After two hours, divide dough into two equal sized balls. Divide each ball into four equal sized balls. Roll each ball into a rope (about 12 inches long). Braid. Set braided loaves on lightly greased cookie sheet or two 2-quart casserole dishes, cover well with plastic wrap, and let rise for 6 hours. When risen, preheat oven to 350 and brush with remaining egg whites. Sprinkle with sesame or poppy seeds, if desired. Bake for 45 minutes, or until hollow went tapped. Don’t know how to braid challah? 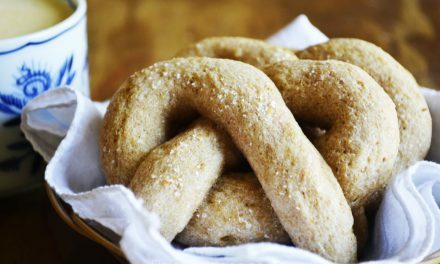 Check out this post by The Shiksa in the Kitchen. Wanna learn more about traditional sourdough? If you’re interested in learning more about traditional sourdough and gluten intolerance, check out these two articles by Ann Marie over at Cheeseslave, and this one by Katharine Czapp, and this one by Mary Enig & Sally Fallon. This looks soooo good! In college I had a roommate in college who was from New Jersey and she always talked about how good challah bread is! Definitely something I want to try. Found my way here through the Wellness Wednesday link party! Your bread looks beautiful! That's fascinating about being able to eat the sourdough. I've also read that dairy intolerant people can sometimes drink raw milk. I just think traditional foods can be so healing and good for us. 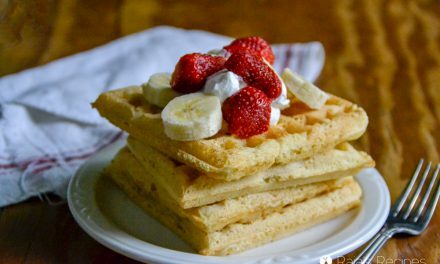 I came here from vegetarianmamma.com from the gluten-free link-up and am so disappointed to see this recipe is NOT gluten-free!! 🙁 Please do not link up recipes that do not fit the criteria… it is SO disappointing to get excited about a recipe only to find out I can't eat it!!!! I'm sorry you were disappointed. I am gluten-intolerant and I CAN eat it. Did you read the beginning of the post? Studies have shown the people with gluten intolerance and celiac can properly digest traditionally prepared sourdough breads, which is what this recipe is. I can attest to the truth of this, as can friends of mine who are also gluten-intolerant. 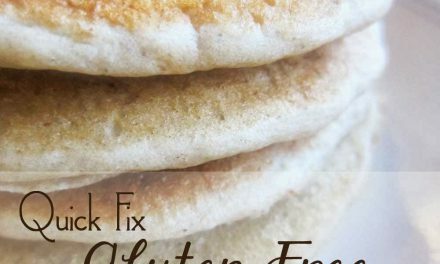 If you have a wheat allergy, that is something different. I'm gluten-free too so I won't be trying this one, but it sure is pretty. Thanks Debi. : ) I encourage you to read the articles I cited in my post. The traditional fermentation of sourdough breaks down the gluten so that it is non-existent. I have been gluten-free for years, and can not eat any regular wheat/gluten products (even the slightest contamination bothers me), but I can eat this sourdough without any problems at all! Yes, I did read the beginning of the post. Regardless of the fact that you can eat it, it still contains gluten and should not be advertised on a site toting gluten-free food. I am gluten intolerant and know that I cannot eat sourdough (I've tried). I have no doubt that it's a great recipe and that many people can enjoy it, but please don't claim that it is something that it's not. I'm sorry you can't eat traditional sourdough. I know I can't eat the regular stuff in the stores. They don't ferment their starters long enough and they use yeast. 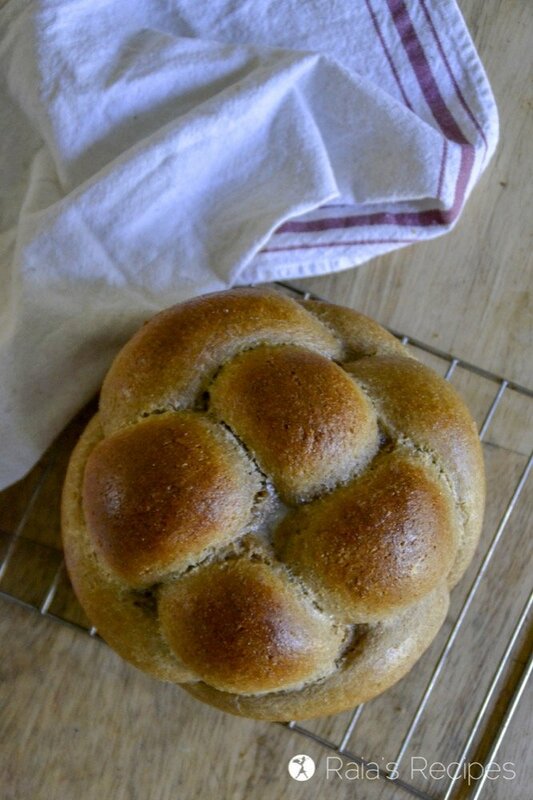 As to the place of this recipe on my site, you may notice that I post quite a few of gluten-full recipes, and they are all labeled so, as is this bread. I never claimed it was gluten-free, I only said I could eat it and had experience with others who could as well. Raia, thanks for linking up to From The Farm Blog Hop last week! I've chosen your recipe as my personal favorite from last week, and we are sharing our favorites this week on the latest blog hop. Come check it out! 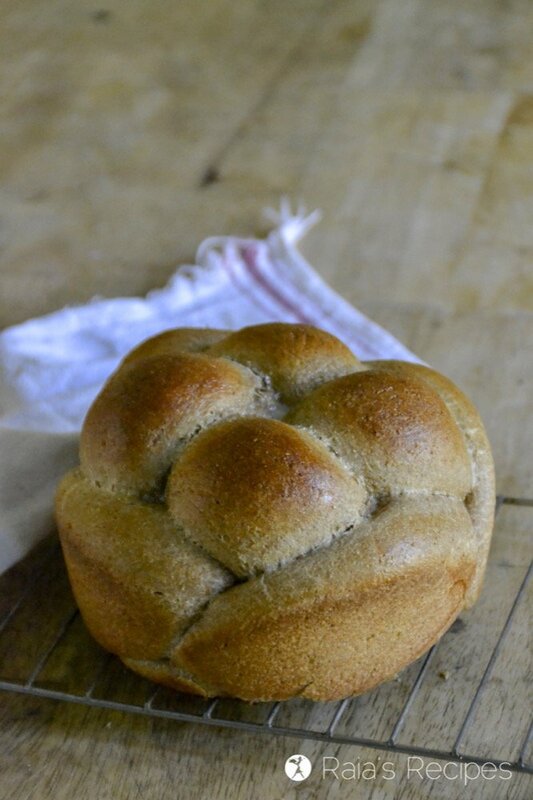 http://myhealthygreenfamily.com/blog/wordpress/from-the-farm-blog-hop-is-live-and-a-sourdough-recipe-favorite/ Looking forward to seeing what you have to share with us next. Thanks for linking up! Your article will also be PINed on Pinterest and shared on our From The Farm facebook page. Can I exchange spelt instead? Have you ever tried "catching yeast" to make sourdough? What a beautiful Challah! I bet this is so warm and chewy, just like bread should be! This challah is so pretty! Definitely trying this! 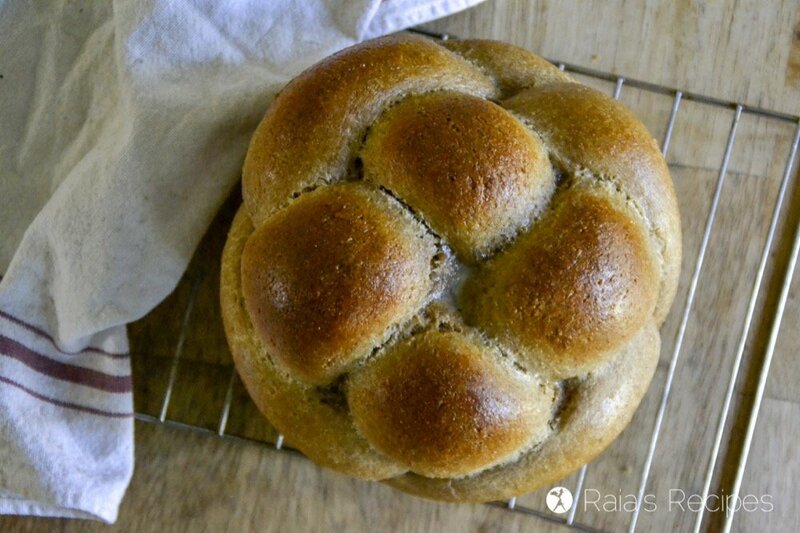 This bread is stunning Raia! So beautiful and sounds delicious! I can’t get over how perfect this bread looks Raia. I am not proficient in sourdough baking and just looking at this makes me want to get started! I lost my sourdough challah recipe so I’m hoping this will be my replacement! It sure looks yummy!